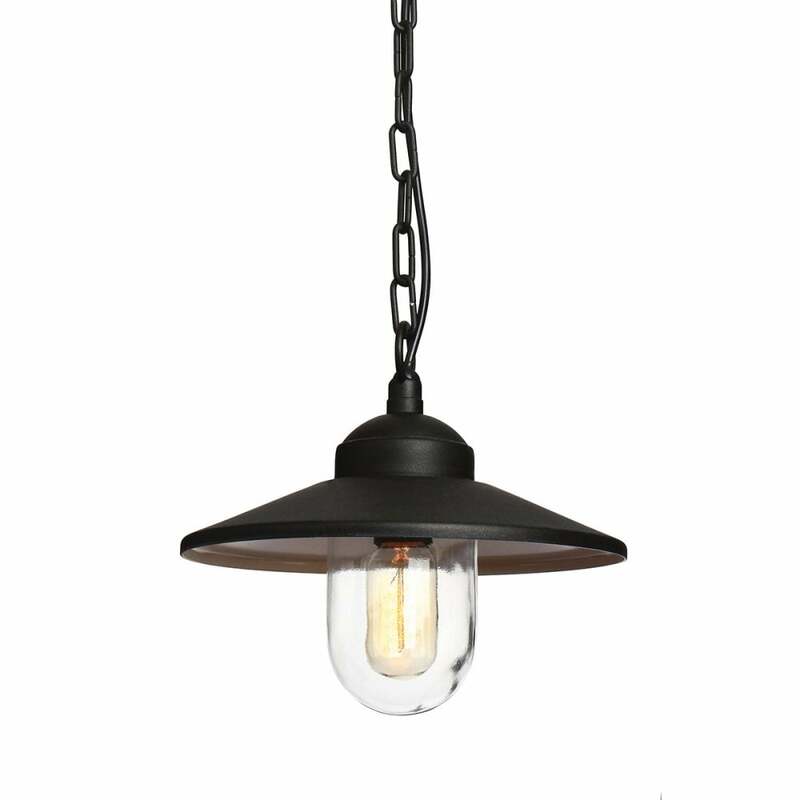 Elstead Lighting Klampenborg single light ceiling pendant features a classic fisherman style lantern complete with a wide-brimmed shade in a matt black finish with glass diffuser. The product code for this Elstead ceiling pendant is KLAMPENBORG8 BK. IP44 moisture protection rated and height is adjustable prior to installation only. Also available is a matching wall light which can be purchased via our website using product code: KLAMPENBORG BK.